This interview was one of the first with Marchetta after the publication of her first novel. 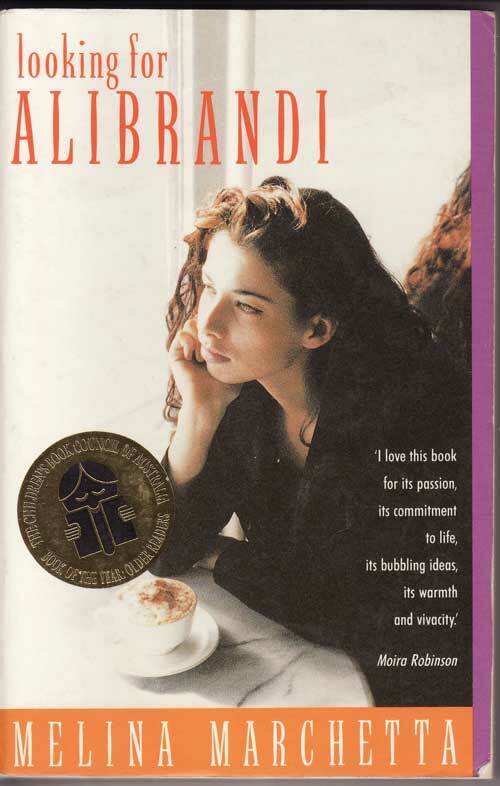 Looking for Alibrandi quickly became something of a phenomena. The book became a cross-over success, and was listed as a senior high school English text. Some years later, the book was made into a popular feature film, with an award-winning script by Marchetta herself. Melina’s inscription on my battered first edition copy of Alibrandi says “thank you for writing what I consider my best interview”. I’m unashamedly proud of that, especially as I had put the microphone into the wrong jack and so had to write the interview from memory (I checked the interview with Melina prior to going into print, I hasten to add). I’m also enormously proud that this interview, one of the first articles I had accepted into print, was also the cover article for a then brand new journal, Viewpoint: On Books for Young Adults — Volume 1, Number 1 — 1992. Was it really that long ago? Since it publication in October of last year (1992), Melina Marchetta‘s debut Looking for Alibrandi has provoked widespread praise and affection remarkable for a young adult novel; the all-to-familiar story for authors and publishers of children’s books is the long term struggle for recognition from the mainstream “literati”. Reviews for Alibrandi, however, have been almost without exception excellent; the reaction of author and Sydney Morning Herald columnist Margaret McClusky, for instance, who said “A must for all teenagers… Buy it for your H.S.C .- swamped offspring before it is too late.” (SMH. 14.11.92) being quite typical. The attention has been both exciting and overwhelming for Marchetta, who has nevertheless kept a clear vision of both her current success, and her on-going career as a writer. Religion class, first period Monday morning, is the place to try to pull the wool over the eyes of Sister Gregory. (She kept her male saint’s name although the custom went out years ago. She probably thinks it will get her into heaven. I don’t think she realises that feminism has hit religion and that the female saints in heaven are probably also in revolt. …primary school was the only time I was people I could compare notes with and find a comfortable place alongside. We’d slip our Italian and Greek into our English and swap salami and prosciutto sandwiches at lunch-time and life was good in the school-yard. Life outside school, though, was a different story. I was fascinated by my Nonna’s experience of leaving her family when she emigrated to Australia 60 years ago. I am very close to my own sisters, and I couldn’t imagine having to leave them forever. So I wanted to explore that experience; what must it have been like for women like my Nonna to never see their families again? Out of that came the relationships between the women from three different generations. I think that is the most important part of the book, and it’s those relationships that I wanted to write about. I certainly never intended to sit down and write a book about racism, or about suicide or about any of the other “issues” that might have ended up in it, and I really hate the thought that it would be used as bibliotherapy; “here’s this book that will solve all your problems with racism” or whatever. Another legacy of the shared Italian-Australian heritage of both author and protagonist is the common assumption that the book must be autobiographical. I suggested to Melina that this reading of her novel is in some ways complimentary, being as it is an indication of the kind of response readers have to Josephine, and to the lively and truthful tone of the novel; Marchetta has captured her characters, their situation and the inner city suburbs of Sydney acutely and precisely. One letter I got was from a girl who’d read the book, and she was driving through Glebe, and she said she kept expecting to see Josephine walking along the street. It was great to think that someone had felt this way about Josephine, that she could be real, but it’s definitely not my autobiography. Of course my experiences as an Italian-Australian are there, and I’ve used things like my Nonna emigrating, but people ask me things like “Who’s John? Is he really a politician’s son?” I didn’t base the characters on anyone, although I can see parts of myself in Josephine, and friends have recognised things about themself that I didn’t consciously put in. But I would really hate it if people thought it was my family depicted, and in some cases it would be very hurtful to my family if people thought so. It would be terrible if people thought, for instance, that Christina’s father was my mother’s father. My mother adores her father, and while he was a stern man, like Christina’s father, he adored his children and his wife. And the relationship between Marcus and Josephine’s Nonna is completely fictitious, although I did have grandparents who lived in the far north of Queensland. … The day John died was a nose-dive day and I hit the ground so hard that I feel as if every part of me hurts. I remembered when we spoke about our emancipation. The horror is that he had to die to achieve his. The beauty is that I’m living to achieve mine. Not at all. I actually spent a lot of time resisting killing John at all. I knew from the start that he would have to commit suicide, but I really didn’t want to do it. If I’d had more time with him, he could have worked things through, but given that the story was just one year in Josephine’s life, it wouldn’t have been honest to rush him on to a happy ending; it would have been ridiculous if he suddenly turned up at the end of the book saying, “hey, I’ve told Dad I don’t want to be a solicitor and everything’s OK.” His death was the only way I could finish his story given those constraints, and I guess it just became a natural point for things to come together, in terms of the structure and so on. Christina and Michael were much more important in the early drafts. I was really interested in their relationship, and I particularly like Christina; I would have liked to have dome more with her. But the book was much too long, and I needed to concentrate more on Josephine, so I had to push them into the background a bit, which I’m sorry about. I also had another girl in Josephine’s group of friends, in fact, she was Josephine’s best friend, so I was a bit surprised when I realised she was the one that had to go. But again, it really was too long and messy, and by cutting out this best friend, who it turned out Josephine didn’t need anyway in terms of the plot, I could bring Lee into it much more. She’d been in the background a bit, but I always really liked her, and I still think she’s one of the most interesting characters in the book, so that worked out well. The ambivalence Marchetta feels towards Josephine is revealed through the characters of Sister Louise, her headmistress, and her boyfriend Jacob, neither of whom hesitate to point out to Josephine when she is being selfish, over-dramatic, or plain stupid. A quite shocking example of this is in the scene where Jacob rescues Josephine from a violent mob of teenage boys in a McDonalds carpark, and then abuses her for her stupidity in spitting on and further antagonising the ring-leader. It is an indication of the exasperation that Josephine provokes in those who care about her, and Marchetta agrees with Jacob that Josephine’s dramatic and impulsive behaviour too frequently land her in avoidable unpleasantness. To be fair, Josephine can be fairly hard on herself, and her ability at and willingness for self-scrutiny develops as she matures. It is testament to Marchetta’s care in balancing the complexities of Josephine’s character that the reader can witness her tantrums and drama-queen turns, her often thoughtless and selfish actions, and yet know that this is an essential part of her emancipation, and that it does not detract from her vitality, compassion and intelligence. 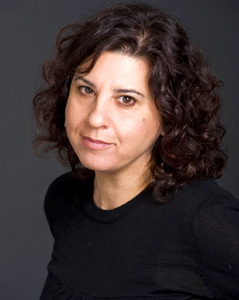 That Marchetta has achieved such a smooth and involving synthesis of character, contemporary experience, humour, complex relationships and genuine emotion in what is not merely her first novel, but her first published work of any kind, is indication of a remarkable talent that will be fascinating to watch develop. I asked Melina about her approach to writing, and how she is currently fitting in the writing of her second novel with her university studies. Does she write regularly, and does she write to a plan? She began her answer with a wry smile. *Eagle-eyed readers will have spotted that Melina is here referring to her Printz-award-winning novel On the Jellicoe Road (Jellicoe Road in the US), which was not published until more than ten years after this interview. Writing is work, people.